By Melissa Lennig on July 1, 2013 7 Comments. This content contains affiliate links. As an Amazon Associate I earn from qualifying purchases. I have always been fascinated by memories. The way that details stick with us or are lost . . . The scents or objects or places that we associate with a particular person or event. Interestingly enough, it’s always the simple things we remember with affection; the scent of mothballs in a dusty attic, the curve of a daisy stem blowing in the June breeze, or chasing fireflies with your children on a humid July evening. For your convenience, this post contains affiliate links. All opinions are my own. 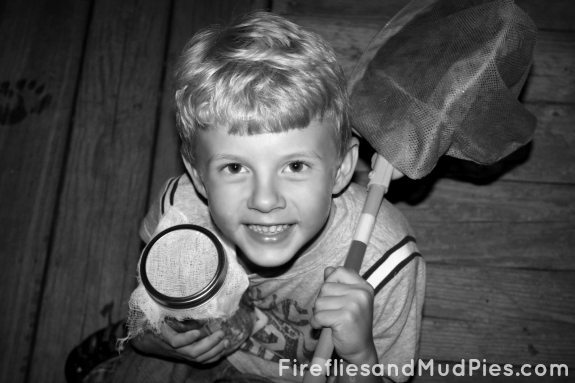 I can’t guarantee that my oldest son will remember every detail of chasing fireflies for the very first time, but I am certain he will recall the warm breeze, the anticipation he felt as he held his net and waited, and the excitement that ricocheted throughout his entire body (he literally jumped and screamed!) as he witnessed the very first twinkling lights of the night. 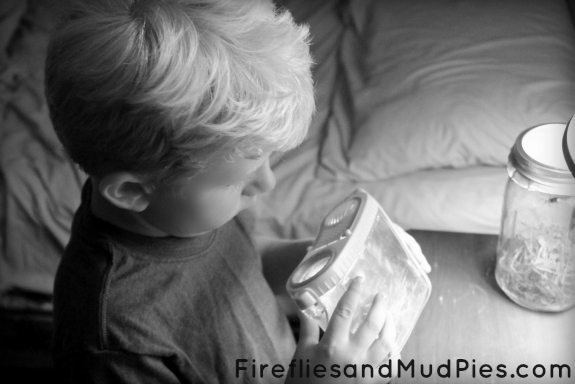 Catching fireflies is easy. My son had great success simply waving his net where he saw green light and then we found the fireflies either inside the net or clinging to the outside. 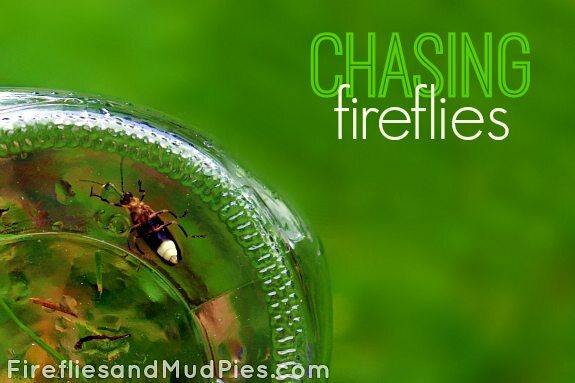 Once captured, we gently transferred the fireflies to a ventilated glass mason jar filled with dewy grass. It was difficult to go back inside for bed after such a memorable evening, but eventually my son settled on the steps of the porch and we simply sat together under the dark sky to watch his new friends silently chat. Around 10 PM, my sleepy-eyed little boy was ready for bed. 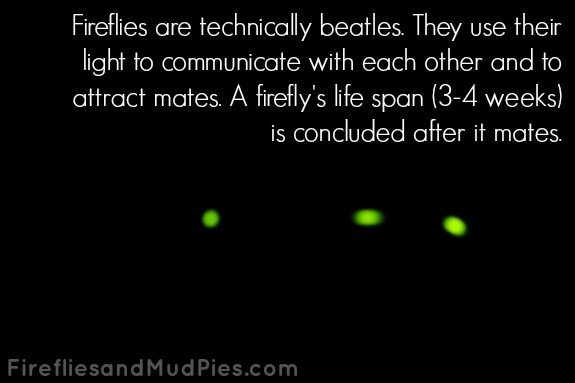 We set the fireflies on his nightstand so he could fall asleep to their brilliant glow. He couldn’t help but take one more close look before climbing into bed! 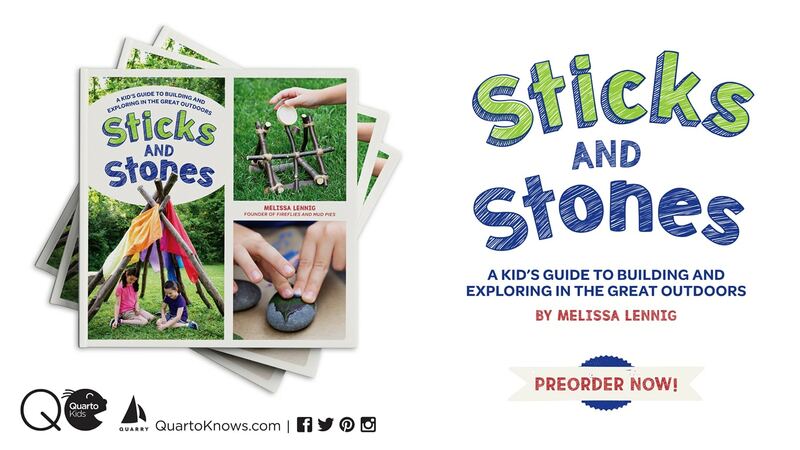 Make a beautiful memory this summer, for yourself and your children. 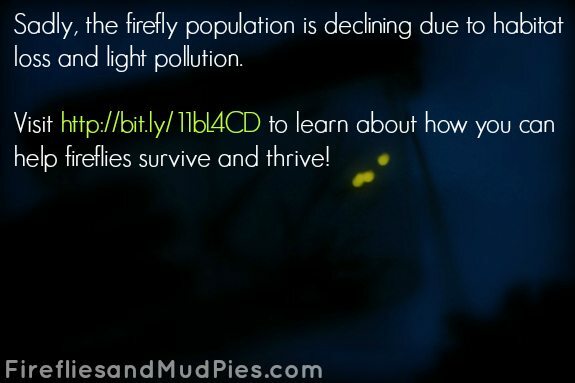 Get outside with your family and chase some fireflies!